"I didn't tell anyone that I was going to Santa Fe to kill myself." On the outside, Terri Cheney was a highly successful, attractive Beverly Hills entertainment lawyer. But behind her seemingly flawless façade lay a dangerous secret—for the better part of her life Cheney had been battling debilitating bipolar disorder and concealing a pharmacy's worth of prescriptions meant "I didn't tell anyone that I was going to Santa Fe to kill myself." On the outside, Terri Cheney was a highly successful, attractive Beverly Hills entertainment lawyer. But behind her seemingly flawless façade lay a dangerous secret—for the better part of her life Cheney had been battling debilitating bipolar disorder and concealing a pharmacy's worth of prescriptions meant to stabilize her moods and make her "normal." In bursts of prose that mirror the devastating highs and extreme lows of her illness, Cheney describes her roller-coaster life with shocking honesty—from glamorous parties to a night in jail; from flying fourteen kites off the edge of a cliff in a thunderstorm to crying beneath her office desk; from electroshock therapy to a suicide attempt fueled by tequila and prescription painkillers. 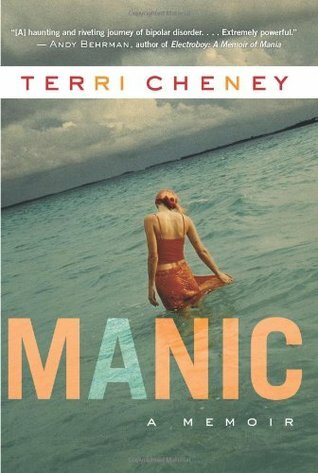 With Manic, Cheney gives voice to the unarticulated madness she endured. The clinical terms used to describe her illness were so inadequate that she chose to focus instead on her own experience, in her words, "on what bipolar disorder felt like inside my own body." Here the events unfold episodically, from mood to mood, the way she lived and remembers life. In this way the reader is able to viscerally experience the incredible speeding highs of mania and the crushing blows of depression, just as Cheney did. Manic does not simply explain bipolar disorder—it takes us in its grasp and does not let go. In the tradition of Darkness Visible and An Unquiet Mind, Manic is Girl, Interrupted with the girl all grown up. This harrowing yet hopeful book is more than just a searing insider's account of what it's really like to live with bipolar disorder. It is a testament to the sharp beauty of a life lived in extremes.